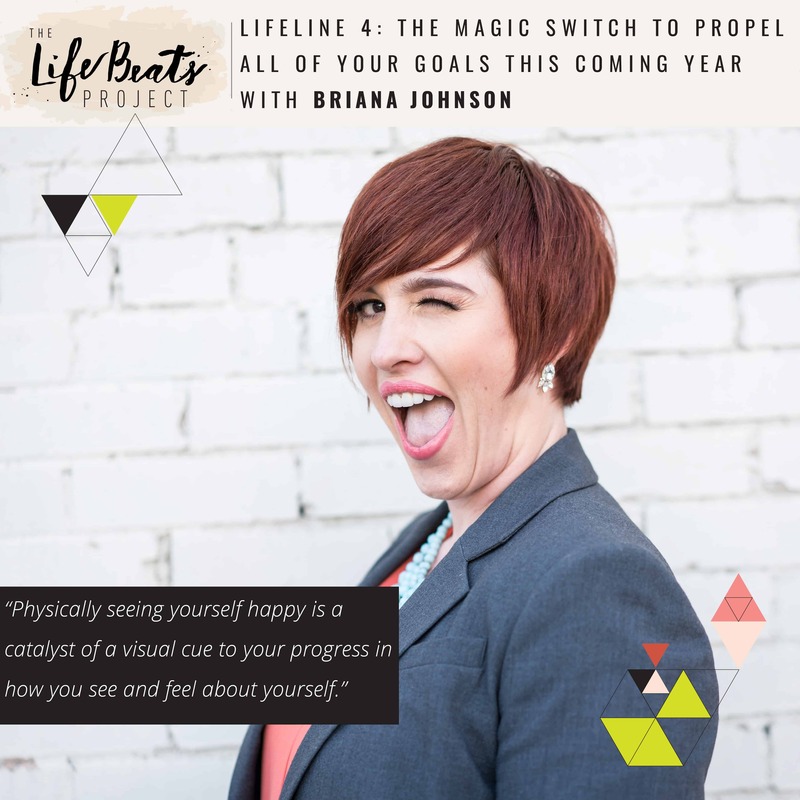 Today is the fourth installment of the LifeLine podcast series in which I guide you through the process of discovering your own story and illuminating the extraordinary that already lies within you. As we look to a new year and what we set out to accomplish, we discuss the magic switch that will set you free from the circular track of setting the same goals over and over and propel you forward to achieve all your goals. Think of that Mary Poppins scene when the carousel horses are freed from the ride. You’ll be racing down the thoroughfare toward the finish line of improvement in no time. That magic switch, or key, to achieving all your other goals in 2017 will be changing the way you see or feel about yourself. We dive into 3 questions and 1 exercise that will help you to focus on how you can do that and most importantly, why! I share the my answers to the questions and what I will be working on this year in how I feel about myself. Making yourself a top priority this coming year will be that seemingly magical element that will make all your other goals happen. Don’t skip this step. Come prepared to think, take notes, and have some fun through the exercise of creating a special screensaver for you that pairs an image and a word, a visual cue of your goals and your reasoning behind them. Want to know if this episode it for you? This episode is perfect for anyone who seems to be making the same goals this year as they did last year and for anyone who needs to change the way the see or feel about themselves. It is perfect for anyone who is striving to put themselves as a priority and wants to see results from the efforts of their goal setting. How do you want to see yourself this coming year? Or in other words, In what way do you want to change the way you see yourself? How do you want to feel about yourself? It can be something overall or something specific. Why is that important to you? What is your ‘why’? Drill down into those whys deeper and deeper. What is the motivation behind what you want to do? What will you do and/or give up doing this year to see yourself or to feel about yourself in this new way? Create a screensaver for 2017 of an image and a word. Select an image of yourself from this past year that when you look at it, you see happiness – even if it was momentarily. When you look at yourself it evokes memories of something good that was happening or that you were feeling. Select a word that will inspire you to keep going on your quest to see yourself or feel about yourself in a new way. Now write that word atop that photo and voile it is your new screensaver! So for The LifeBeats Project 50th podcast episode, YOU are going to interview me, led by my amazing husband Mike who inspired this whole movement. What questions do you have for me? You can comment on Instagram or Facebook with a question for me or email me at [email protected], But here’s an even better idea. Record yourself asking me a question through the voice memo app on your phone and email it to me!! Then you will really be interviewing me on air. I can’t wait to hear what you would like to know.